Visitors to Exmouth RNLI’s Open Day witnessed a real-life emergency launch on Sunday when the station’s Shannon class lifeboat was tasked to a disabled yacht in Lyme Bay. Supporters were enjoying having a look around the lifeboat station on Sunday (26 August) when the pagers sounded shortly before 12.30pm. The Shannon class lifeboat R and J Welburn launched in-front of a packed crowd in force 6-7 winds and wet conditions. In extremely rough seas, including waves 4-5 metres high, volunteer deputy coxswain Ian Taylor navigated his crew of six to the scene. Once on scene the lifeboat crews found a Navy vessel providing shelter to the 28-ft vessel, which had suffered a broken tiller and was around three miles offshore. The two men on board were both uninjured and happy to stay with the vessel, so they assisted the lifeboat volunteers in securing a tow line. 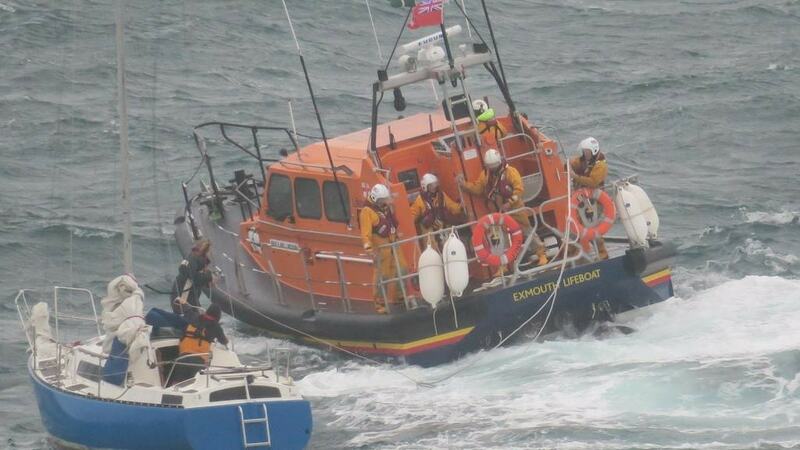 The lifeboat then towed the boat around Portland Bill and into Weymouth harbour. After ensuring the yacht and its two crew were safe in harbour, the lifeboat returned to Exmouth. Volunteer deputy coxswain Ian Taylor explained: ‘The yacht’s tiller had broken earlier in the day but as there was no working VHF radio on the Yacht, the casualties sailed towards the land to get mobile phone signal in order to raise the alarm. 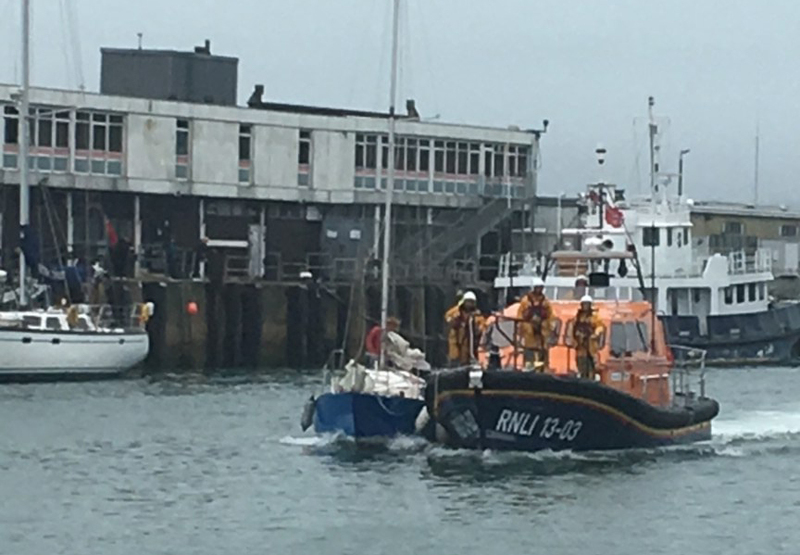 Weymouth’s all-weather lifeboat was on restricted service for a few hours on Sunday at the time the call came in due to a suspected fouled propeller, so its flank lifeboat station at Exmouth responded to the incident instead. The volunteer lifeboat crew arrived back at Exmouth at around 8.45pm, eight hours after originally launching. John is the Exmouth Lifeboat Fundraising Team's Press Officer, covering news and events to help save lives at sea.